The Family Panel Reviews : #MorrisonsMum: My Barbecue Basics with The Price Checker Challenge! #MorrisonsMum: My Barbecue Basics with The Price Checker Challenge! In another of my series as a Morrisons Mum, I've been challenged to take a favourite summer recipe and see if I can make it cheaper using Morrisons goods. How will I do that without taking hours online? With their new Price Checker tool! One thing my family love is a good barbecue chicken and homemade coleslaw. I don't buy in anything if I can make it myself, but at my previous supermarket getting good quality ingredients wasn't always easy, and I'd often find myself having to go to two different shops. To make my barbecue chicken, I usually buy a bag of mixed chicken pieces, some mustard, some honey, and some fresh lemon juice. It all goes in a sandwich bag overnight and is ready for the barbecue (or oven if its a rainy day) the next afternoon. 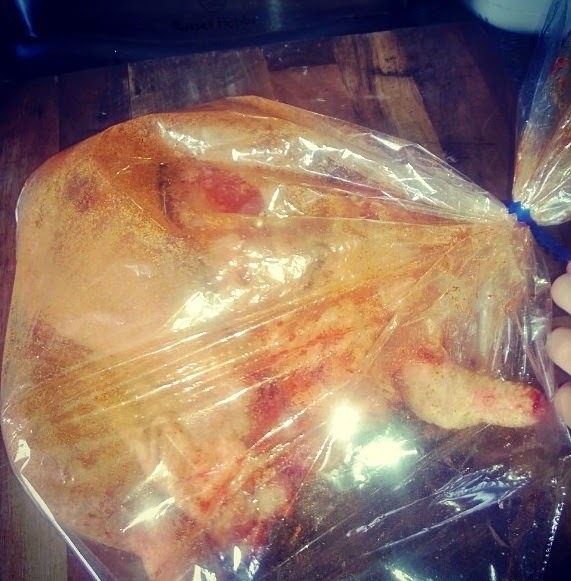 You can find my idiots guide to marinating chicken over at Lazy Girl Cooks. The great thing about Marinating chicken (or beef, or pork) is that its pretty simple and fuss free, the kids can help, and you can really get creative and try out new ideas for flavoursome marinades. If you're not a spice fan, you can limit how spicy to make it. If you are dieting, you can find healthier options too. You simply take your chicken pieces- a selection of legs, wings and breast is great, I leave the skin on the legs and wings but if you prefer not to that's fine as they can be removed beforehand. Then, open a bag, the kind you use for sandwiches, and spoon in two teaspoons of mustard (or more if you want it hot, you can use English or French Mustard), one tablespoon of honey, and a generous amount of lemon juice. Elder likes me to stuff some chilli flakes in too for an added spice edge. Tie the top of the bag and give it a good shake, then leave in the fridge. Very simple! These are lovely on the barbecue and tasty too- my Brats love them, especially my Greek yoghurt, ginger and honey versions. Next up is my personal favorite summer accompaniment, which goes with everything and takes about 5 minutes to make. It's a great party dish that serves plenty, and leaves more time for getting ready than slaving away at a hot stove (and who wants to do that in the summer anyway?). 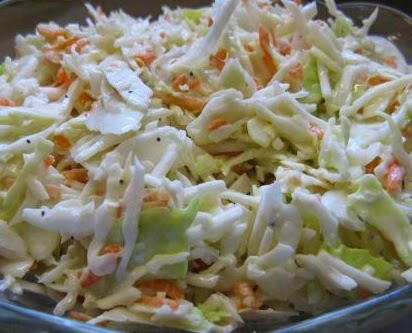 Coleslaw is something that most of us will buy from the supermarket but made fresh at home is lovely. Simply take a large bowl, a large, peeled carrot, some cabbage (you can forego this if you're not a fan or use red cabbage which is just as yummy), a squeeze of lemon juice and two large tablespoons of mayonaise. You can add cheese if you like too. If you have a food mixer with a slicing attachment, then place the cabbage and carrot in that to slice it into thin batons, but if not, a cheese grater works just as well. Then, add the veg to the bowl, along with the mayo (you can use more or less depending on personal taste, but I like mine to have recognisable veg in it and not be swimming in mayo) and lemon juice, and give it a good stir. Then, leave to chill in the fridge. How simple is that!? Just to prove that Morrisons is now cheaper (and staying that way), you can make it easy to put together a menu this summer using their great new Price Checker tool . Get down to Morrisons today and you'll be shocked by how cheap it is and how tasty the food is!